Chennai: The JICA (Japan International Cooperation Agency) will offer loan assistance of Rs 20,196 crore for the 52.01km phase-2 of Chennai Metro Rail project, the Tamil Nadu government said. JICA has approved funding for the phase-2, which would cost an estimated Rs 40,941 crore, a state government release said. The release added that it is aimed at extending Metro rail connectivity between Madhavaram and Sholinganallur (35.67 km) and from Madhavaram to Chennai Mofussil Bus Terminus ( CMBT) (16.34 km). Union Finance ministry, additional secretary, C S Mohapatra and Japan Ambassador to India, Kenji Hiramatsu formally exchanged documents at an event in New Delhi, on Friday. The loan agreement for providing the first tranche under the Official Development Assistance (ODA) of 75,519 million Japanese Yen (about Rs 4,770 crore) was also signed between Mohapatra and JICA, chief representative, Katsuo Matsumoto. On the occasion, additional chief secretary, TV Somanathan and Chennai Metro Rail, managing director, Pankaj Kumar Bansal were also present. The funding would further enhance Metro Rail connectivity to various parts of the city. 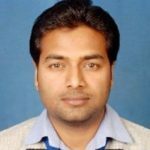 Deepak Kumar is a part of the content team of Rail Analysis India as a writer and analyst . His focus is on new initiatives on the Railway Sector of India .